Splashtop Personal (retail $19.99 USD) is free today and only for a limited period of time. 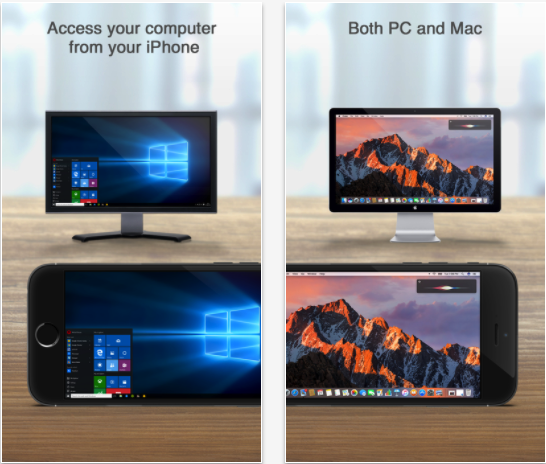 Splashtop Personal allows you to remotely access your desktop (Mac or Windows) from your iPad or iPhone. You can either access your computer via a local network or subscribe to Anywhere Access Pack (via in-app purchase) to be able to access it through the Internet. SplashTop Personal enables you to access all programs and files on your computer including PDFs, PowerPoint, Keynote, Word, Excel and many more. Other features provided by Splashtop include: ‘enjoy the full video and music libraries that are playable only on your computer, whatever formats they’re in; use your full desktop browser (IE, Chrome, Firefox) with Flash and Java support, with all of your bookmarks and your favorite plug-ins; play all the 3D games (World of Warcraft, StarCraft, Skyrim, Diablo III, etc.) and all the Flash games (FarmVille, CityVille, etc.)’. Splashtop for iPhone, Splashtop for iPad. Courtesy of Apps Gone Free.